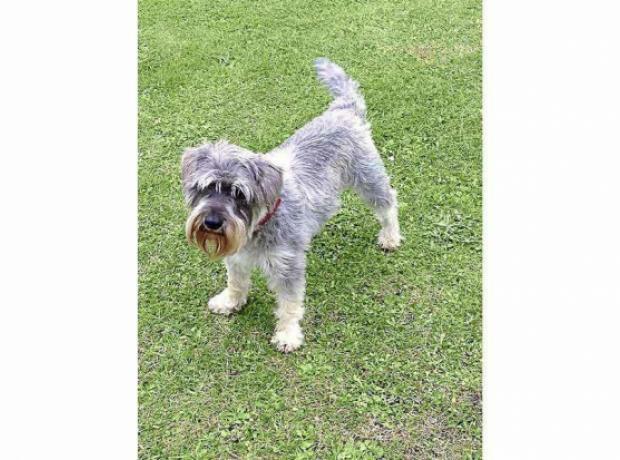 On Saturday near the Vale Primary School around 6pm a 7 year old grey Schnauzer rescue dog called Bertie was scared by bonfire displays and escaped from his back garden. The GSPCA have been in contact with his owners Clive and Lynn McMinn who are desperately searching for Bertie. Was your tortoise too quick for you? 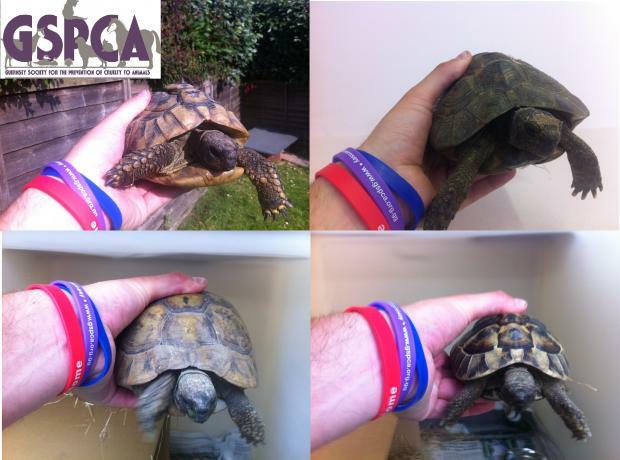 With over 9 stray tortoise handed in to the GSPCA last year and 20 reported lost this is the first of 2013 to be handed into the GSPCA Animal Shelter. 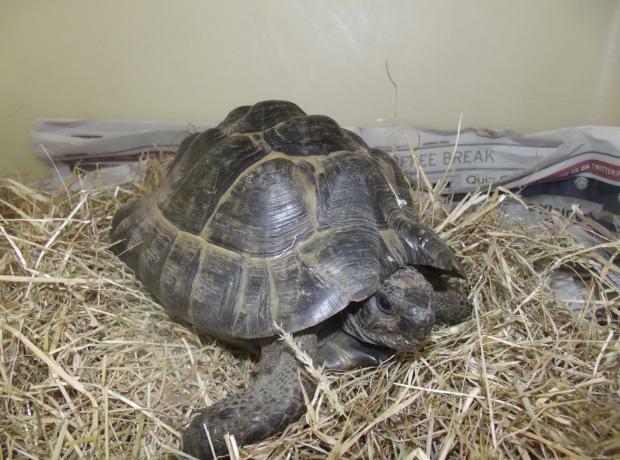 The GSPCA receive all sorts of animals, reptiles and birds as strays and this tortoise is just one of the more unusual that we see. We are still looking for the owner of the Bearded Dragon that staff have called Sorrento that was found in Collings Road last week and this hard shelled reptile was found in the Torteval area and if you have lost your tortoise then please get in touch. Last night the GSPCA was called out to collect a stray rabbit. Found in St Martins, the very friendly black with a little white, female adult lop eared rabbit was rescued after being found roaming the area. Safe and sound at the GSPCA we are appealing for anyone that might have lost their hoppy little friend. The GSPCA would like to thank everyone that helped sharing and retweeting the appeal for the owner of this lost husky that came in on Saturday. We are pleased to announce that he is now back home and we really appreciate everyone's help. The GSPCA would like to remind all dog owners that all dogs should have a collar and tag with the owners details and that we microchip dogs and cats for only £4.99 at the Shelter. We are pleased to say this dog is now back with his owner. The GSPCA are appealing for the owner of a stray dog. On Saturday the GSPCA were called out to collect a stray dog that was found near La Mare de Carteret Secondary School. The male, black and white husky was found with no collar and no microchip. The GSPCA rescue and care for 150 to 200 stray dogs every year in Guernsey but it is rare for them to be at the Shelter for a single night and in the last year there have only been two dogs that have been in for two nights. 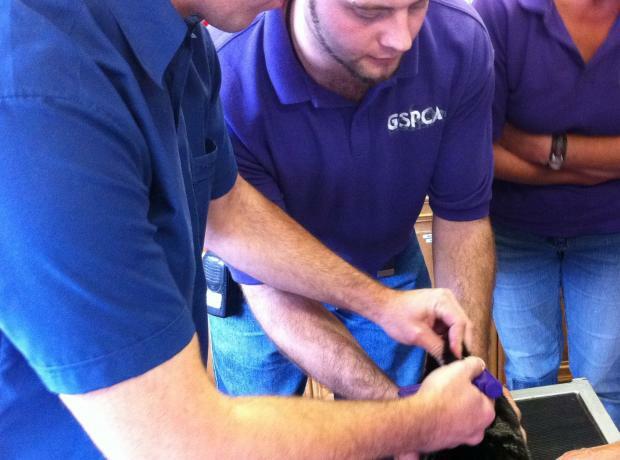 The GSPCA and Guernsey Animal Aid receive dozens of stray animals every month. Some have collars with owners details and some are returned to owners that have left us information looking for their lost pet. Thankfully many are Microchipped so after scanning them we can quickly get them back to their owners, but not enough!